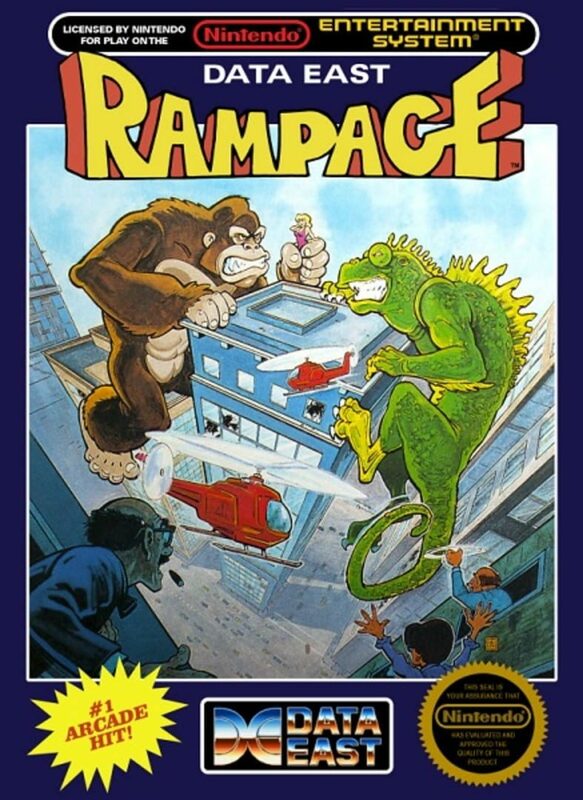 Rampage is a game where players control giant monsters/mutated humans. Players must smash buildings while destroying vehicles such as tanks, planes, and trains to advance to the next level. Smashing windows will sometimes reveals items of interest that the player may use.